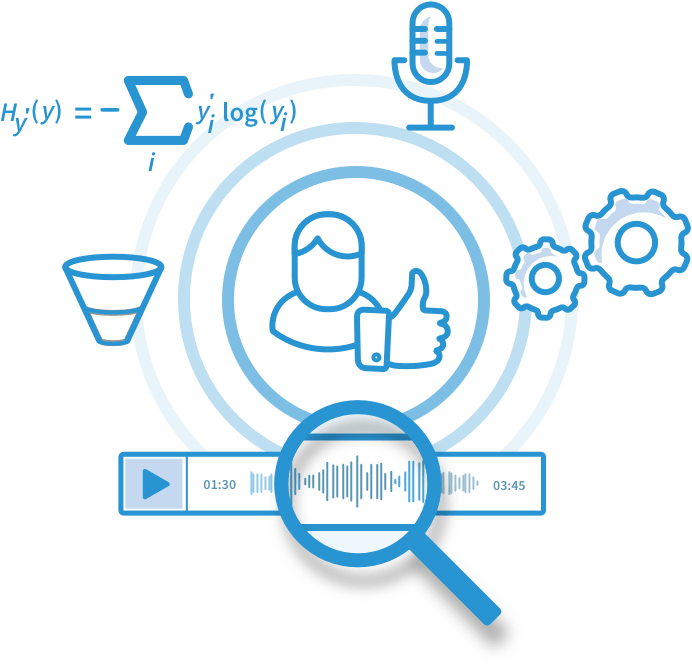 The only software platform that automates phone screening interviews by using artifical intelligence and life-like speech. Get started with automated phone screening interviews in less than 90 seconds. Using our platform's machine intelligence, we provide a powerful wizard that creates a structured phone interview based on the position and the culture of your organization. Candidates can initiate the phone screening at any time and there is no limit on the number of candidates that can be screened. Gain critical insights with automated candidate summaries and the ability to filter, re-rank and review candidates. Try it for yourself. Call us now at 1-800-770-3993 or request a demo. The resume is broken. Humans are not. Hire more humanely with automated voice interviews. Find better candidates and maximize your vetted talent pool. With our artificial intelligence solution, we can phone screen a much larger candidate pool than traditional phone screening practices where time is limited. Maximize your vetted talent pool and discover great candidates that would get overlooked in a traditional application process. Our platform records, transcribes and analyzes each completed phone screen and uses voice processing and natural language understanding to rank all potential candidates. Filter candidates based on relevant experience, organizational fit, and emotional rank. We surface the best candidates so you can conduct more focused in-person interviews and make data-driven hiring decisions. Our on-demand phone screening technology conducts the entire phone interview for you with our life-like speech engine. Eliminate the logistical overhead required for phone screen scheduling and interview fatigue. Great candidates often get lost in a slow and arcane hiring process. Today's candidates expect an exciting and innovative hiring process with prompt feedback. Close the best candidates before the competition does and reduce your time to hire exponentially. Request a demo or call us now at 1-800-770-3993.